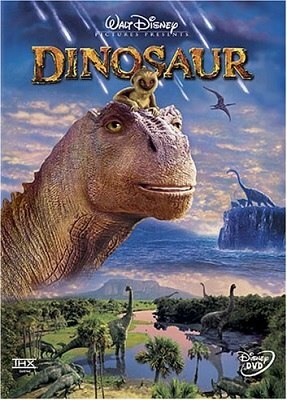 Aladar is an Iguanodon that has been raised by lemurs. After a meteorite impacts on Earth, only a few dinosaurs and mammals survive. Among them is Aladar, Yar (Aladar’s grandfather), Plio (Aladar’s mother), Zini (Aladar’s best friend) and Suri (Aladar’s sister). While they run away from the island that once was their home, they find a varied group of dinosaurs heading to the Nesting Grounds, a valley that, supposedly, has remained untouched by the meteorite. During the travel, Aladar will meet Neera, another Iguanodon, who will fall in love after seeing Aladar helping all the dinosaurs when needed.